Tempe Councilman Mark Mitchell will be the next mayor of Tempe.Following the release of unofficial results by the Maricopa County Elections Department, Mitchell's opponent Michael Monti conceded. Mitchell has 11,351 votes compared to Monti's 11,212. Nearly 50 employees with the City of Glendale are losing their jobs. City leaders say the slow economy and the city’s debt to the National Hockey League forced the cuts. KJZZ’s Al Macias reports. Arizona’s unemployment rate dropped four-tenths of a percent in April, to 8.2 percent. But, only about half of that is due to more people finding jobs. 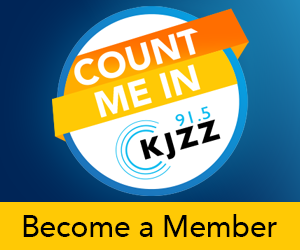 From Phoenix, KJZZ’s Mark Brodie reports.MARK BRODIE: The state added 9,300 non-farm jobs last month. The Gladiator Fire has now charred more than 5,400, about 60 miles north of Phoenix. Thursday could be a critical day for firefighters, according to wildfire expert Jim Paxon of Arizona Game and Fish.The blaze, which started on private property and is 5 percent contained, is burning across the Prescott National Forest, near Crown King, Arizona. The U.S. Justice Department has indicted a member of the Arizona House of Representatives. Tempe Democrat Ben Arredondo is accused of five counts, including bribery, fraud and attempted extortion. From Phoenix, KJZZ’s Mark Brodie reports. Mesa Mayor Scott Smith explains why Mesa hopes to attract branches from universities across the country. Scott Jaschik of Inside Higher Ed explains why partnerships between cities and university branches are beneficial. Last week Gov. Jan Brewer signed HB2815 into law. The bill includes incentives to draw businesses into Arizona in an attempt to boost the economy. Michael Hunter, special advisor on tax policy and reform, and Dennis Hoffman, economist at the W.
Votes tallied Tuesday for Tempe Mayor left the city without a declared winner. Mike O’Neil, a pollster with O’Neil Associates, analyzes election results and whether Mark Mitchell can overcome Michael Monti’s slim lead. Wally Covington, executive director of the Ecological Restoration Institute at NAU, explains why certain parts of Arizona are prone to wildfires and what can be done to minimize their damage.Covington says fire season usually isn’t anything to worry about if proper precautions are taken and control of the flames is maintained. Officials with the Tonto National Forest have implemented fire restrictions that went into effect this morning. From Phoenix, KJZZ’s Mark Brodie reports. MARK BRODIE: Forest officials cite hot temperatures, drought conditions and increased fire danger as reasons for the restrictions. In an effort to provide more education opportunities to Arizona residents, the City of Mesa recently announced that it will soon be home to a campus of Pennsylvania's Albright College.Albright College is the third institution of higher learning, following Westminster College and Benedictine University, to announce in 2012 that it is proposing to locate a branch campus in downtown Mesa. A federal judge has denied the City of Tombstone an emergency request to repair its water system in the Huachuca Mountains. The 130-year old system was badly damaged by floods and wildfires last year. From Phoenix, Al Macias reports. Fire crews made some progress on Tuesday as they battled multiple wildfires across Arizona. The Sunflower Fire, burning 30 miles northeast of Phoenix had grown to almost 5,000 acres. Meanwhile the community of Crown King remained under an evacuation order. Valley real estate prices are rising, but many homeowners still likely won’t make back what they paid for their house for a while. From Phoenix, KJZZ’s Mark Brodie reports. MARK BRODIE: The median price for a Valley home was just under $135,000 in March. CROWN KING, Ariz. (Associated Press) — High winds could prove a challenge for firefighters battling a northern Arizona wildfire that has forced residents from a historic mining town.Fire spokeswoman Karen Takai said Tuesday winds of 35 mph are expected at the blaze near Crown King that has burned about 2 ½ square miles. Phoenix has a new police chief. Daniel Garcia was sworn in today, taking over for Acting Police Chief Joe Yahner. From Phoenix, KJZZ’s Mark Brodie reports. MARK BRODIE: Garcia took the oath of office this afternoon at Phoenix City Hall. Five fires burning across Arizona are causing major structure damage and displacing residents. Dennis Lambert discussed efforts to control these fires with Arizona Game and Fish Department Spokesman Jim Paxon, who spent more than three decades with the National Forest Service. Maricopa County Supervisor Mary Rose Wilcox has won a $975,000 suit against Maricopa County. Wilcox sued Sheriff Joe Arpaio and former County Attorney Andrew Thomas over their failed investigations. She claimed they went after her because she opposed their illegal immigration policies. The people-mover at the Phoenix Sky Harbor International Airport takes a big step forward Monday as the first cars are rolled onto the track. Dennis Lambert talked to airport spokeswoman Julie Rodriguez about the PHX Sky Train. Some of the nation’s best-known comedians will take the stage Sunday in Phoenix in a performance to benefit a Bill of Rights monument planned for Wesley Bolin Plaza. From Phoenix, KJZZ’s Terry Ward reports.